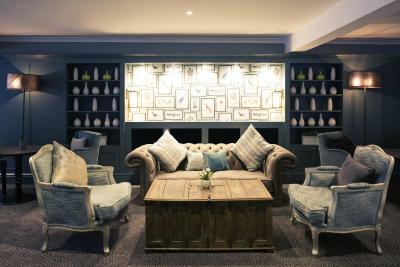 Lock in a great price for Mercure Box Hill Burford Bridge Hotel - rated 8.3 by recent guests. 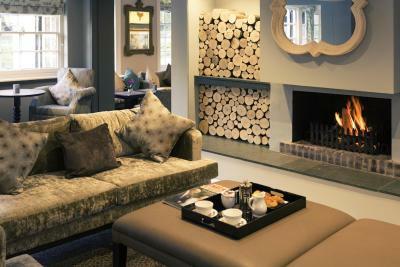 The staff were very friendly and the lounge had a very happy relaxed ambience. We didn't eat in the restaurant at night as we were out on both nights but it looked inviting. Would stay here again. We took three rooms for a partners meeting. The hotel was well suited to this. The staff friendly and accommodating. We will be back. 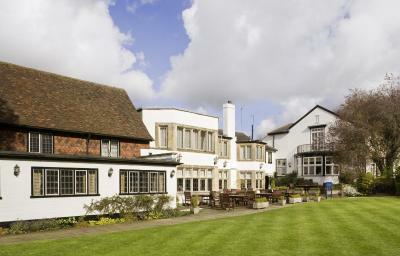 The hotel has a lovely calm, restful ambiance and is well situated for easy access via the M25 and other major roads. The decor is very nice and the staff friendly. Emlyn restaurant offers lovely cuisine and the breakfast included was good. Excellent beds.Helpful and friendly staff. Breakfast was very good, plenty of choice. 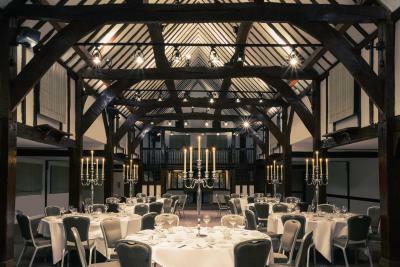 The location was convenient for us and the hotel building was beautiful. One of our bestsellers in Dorking! 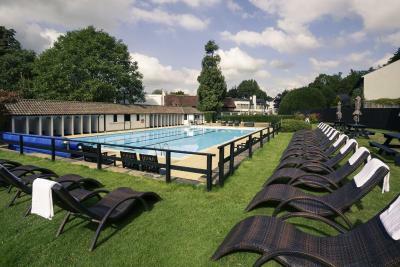 The Mercure Box Hill Burford Bridge Hotel is situated in one of the most picturesque parts of Surrey and has a restaurant, an outdoor heated pool and a croquet lawn. 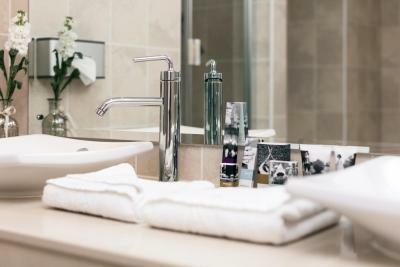 The hotel has features dating back to the 1600s and each of its rooms features en suite facilities, tea/coffee and satellite TV. 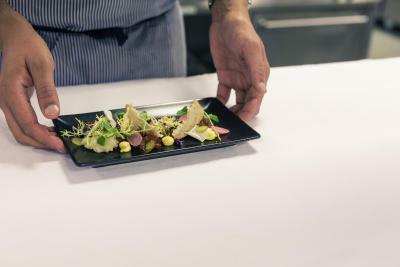 Emlyn Restaurant has 2 AA Rosettes and views over Box Hill; it serves modern, fine cuisine. 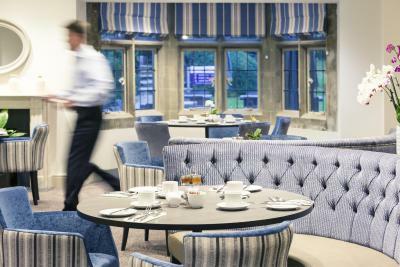 The lounge, with a comfortable atmosphere, offers sandwiches and afternoon teas. 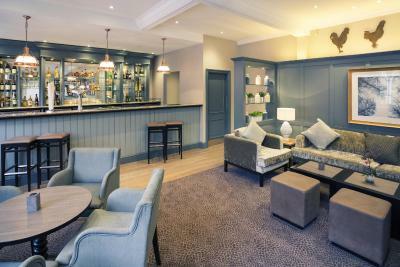 Mercure Box Hill Burford Bridge Hotel has easy access to the M25 and is just 30 minutes' drive from Gatwick Airport. 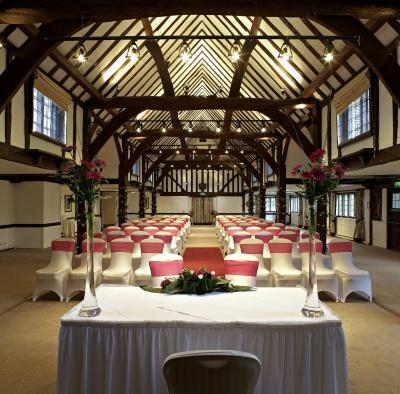 The hotel is also 5 minutes' drive to famous attractions such as Denbies Wine Estate and Polesden Lacey. 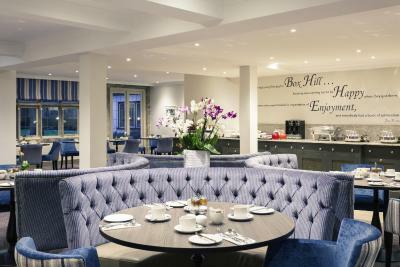 Mercure Box Hill Burford Bridge Hotel has been welcoming Booking.com guests since 28 Nov 2009. 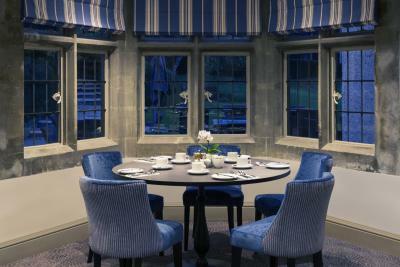 When would you like to stay at Mercure Box Hill Burford Bridge Hotel? This twin room has a satellite TV, electric kettle and tea/coffee maker. 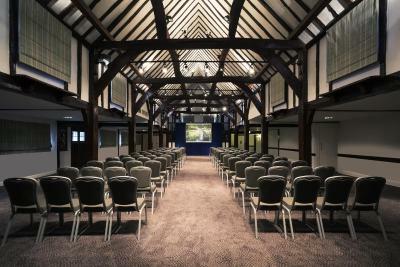 The Mercure Box Hill Burford Bridge Hotel is set within three acres of landscaped gardens at the foot of Box Hill within the Surrey Hills Area of Outstanding Natural Beauty. 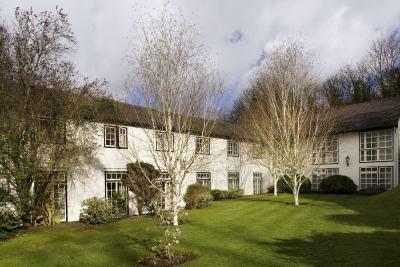 With a history dating back some 760 years, the property has long been a haven for those inspired by nature with noted visitors including Admiral Lord Nelson and Emma Hamilton, John Keats and Jane Austen amongst others. 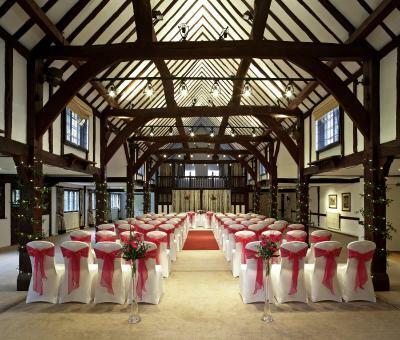 With 57 guest rooms, a two AA Rosette restaurant The Emlyn, a bar, heated outside pool, and eight meetings & banqueting rooms, the property’s pièce de resistance is undoubtedly the seventeenth century, vaulted-ceiling Tithe Barn which is extremely popular for celebrations and weddings. House rules Mercure Box Hill Burford Bridge Hotel takes special requests - add in the next step! Mercure Box Hill Burford Bridge Hotel accepts these cards and reserves the right to temporarily hold an amount prior to arrival. 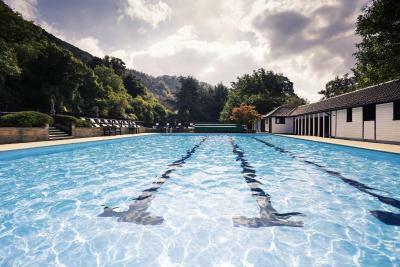 Please note the swimming pool is available to all guests between May and September. When travelling with pets, please note that an extra charge of GBP 20 per night applies. The breakfast on the first morning was great but on the second morning was cool and the coffee was cool as well but didn't complain because it tasted lovely. The menu for evening meals was disappointing. The quality of the coffee and tea provided was very poor. The Starbucks coffee at the bar was very bitter. The teabags in the bedroom were weak. The coffee served at breakfast (filter coffee I guess) tasted stewed and again, the tea served was weak. We upgraded to a superior room, we were a little disappointed to find the bathroom/toilet door wouldn't close as it was too big for the opening, also the balcony was a little sad, it appeared that the main part of the hotel had been beautifully refurbished but I feel the cost of our room was a bit pricey for its condition although very clean, it also was a bit musty and as if it had been shut up a while. Location was fantastic for walking. Staff were super friendly. Hotel in a gorgeous setting. The meal in the restaurant was a bit disappointing. Also despite the fact that we were staying at the hotel we had to wait to eat because we hadn't pre booked. The staff and service though lacked. When arrived and booked in were given our keys and directed to rooms, no additional info such as breakfast times or check out times. Unfortunately there was dirty tissue beside my bedwhich was off putting but the sheets seamed clean. The main issue occurred around breakfast time, specifically the time of service, we were guided by the information in our room that clearly states service in the restaurant until 10am (I have photo) but when we got to the restaurant at 9:33 we were told it was finished and it was already cleared away! I mention that the room states 10am but the staff were rather rude and said I was wrong and pointed to the printed paper at the restaurant entrance. I wasn’t positive if it was my mistake so asked if something could be done to offer us some breakfast and they offer us cereal and toast with no butter or jams. It was most disappointing to then return to our room and discover I was correct about the information on the room and when I mentioned this at check out they tried to use the “small print” excuse but I had the page with me with no conditions mentioned. Then blamed the person checking me in that she should have informed me, then said it was a print error in the room, which seamed a more permanent item than the paper print on at the breakfast entrance. I was annoyed at these excuses and felt the staff really didn’t want to help or take any responsibility. I had to ask for a refund on my breakfast as I said I didn’t get the service I expected as she started to tell me I had breakfast so I had to fight for that to be refunded as we weren’t offered the selection in the time that was clearly a breakfast period and it felt like they tried to shorten the breakfast service period from what is on the hotel printed material in the rooms. The breakfast was a very good quality buffet. The room was spacious and comfortable. the general layout of the hotel was nice.